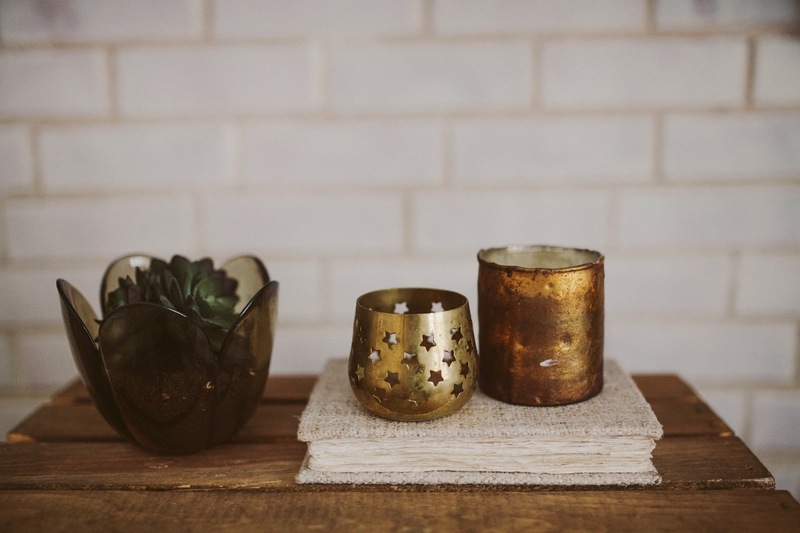 Sincerely, Kinsey: Clean Living // Let's Talk About Soy Candles. 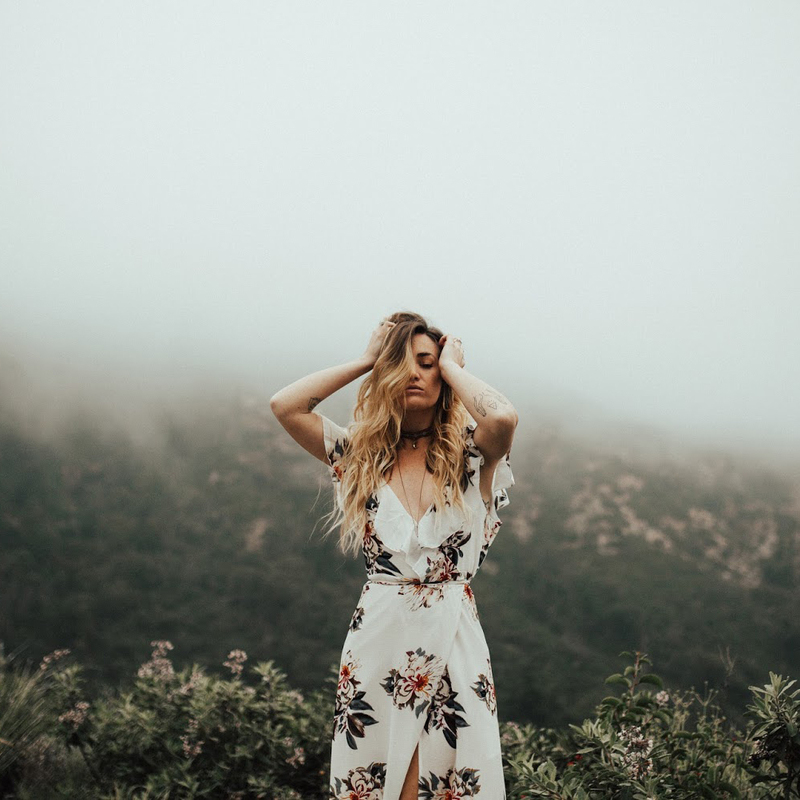 Clean Living // Let's Talk About Soy Candles. I've always had in interest in creating my own candles, and once I started reading about the benefits of soy candles I knew I was sold on the idea. Soy wax is derived from vegetables, while it's counter partner is paraffin wax. Paraffin wax contains up to 11 carcinogenic compounds which have been labeled as toxic air contaminants, while soy wax contains zero toxins. 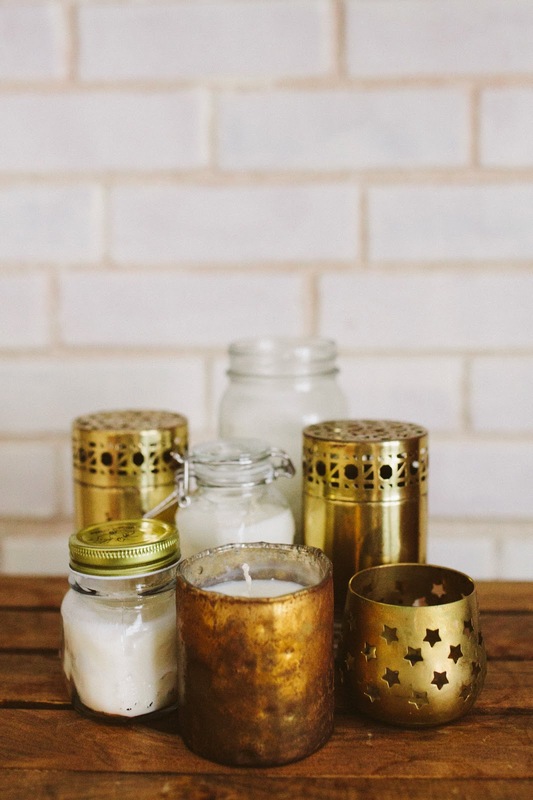 Soy candles also burn slower than paraffin wax, giving your candle a longer burn life. I purchased soy wax and candle wicks at my local craft store. I also purchased old glass jars from the thrift store and some old candle votives I already had at home. I first melted the wax on low on the stove top, and added in lavender and vanilla essential oil once it melted. Next, I dipped the end of the wick in the wax and secured it at the bottom inside of the jar/votive. I purchased wicks with a small metal plate at the end, making the previous step an easy process. Next, I filled each jar with wax to the desired height. To keep the wick in the middle of the jar, I attached a piece of masking tape to each side, crossing through the middle, and taped the wick in the middle until the wax began to cool. I'm not advising you need to go and throw out all your old candles, but maybe consider next time you start to buy a new one, making your own soy candles instead! Over the past year we've slowly but surely been taking on a more clean, organic lifestyle. For us, making this slow transition has made the process smooth, exciting, cost effective. If living an organic lifestyle is something you've been interested in but have yet to take the plunge, try starting with little things. Each small step can make all the difference! These are adorable! I make soy blend candles because soy is so soft that it will not stand on its own - it will melt as a freestanding candle. The only "upside" to paraffin is that it is a by-product of fossil fuels, meaning if it isn't used for candles, it is going to fill up a garbage dump. I understand the carcinogenic concerns, but as someone who lives in LA...walking outside is a carcinogenic concern. Okay--I'm so happy you've tackled soy candles. It was something that I had been wondering about for quite some time. Wasn't sure if it was worth it or not! I love candles, burn them constantly it seems like, so this is all really good to know. Thanks for sharing!! Definitely wanting to try this out. Have you heard of diamond candles and jewelscent?? They're all natural soy candles and they put rings in them!! I love them. I can't wait to try this, I really want to try making my own candles with soy wax. Living clean makes me feel so much better! Lovely candles! I bet they smell great. This would be a really great gift idea! Wish I had enough time to make this for my friend's birthday; I think she'd really like this. Those candle holders are gorgeous! These are gorgeous and I would LOVE to try. Once I'm through with my paraffin ones (I agree with the lady who said walking outside in LA is a carcinogenic concern... I live in a similarily large and smoggy city) I will be giving these a go! Such a beautiful post! 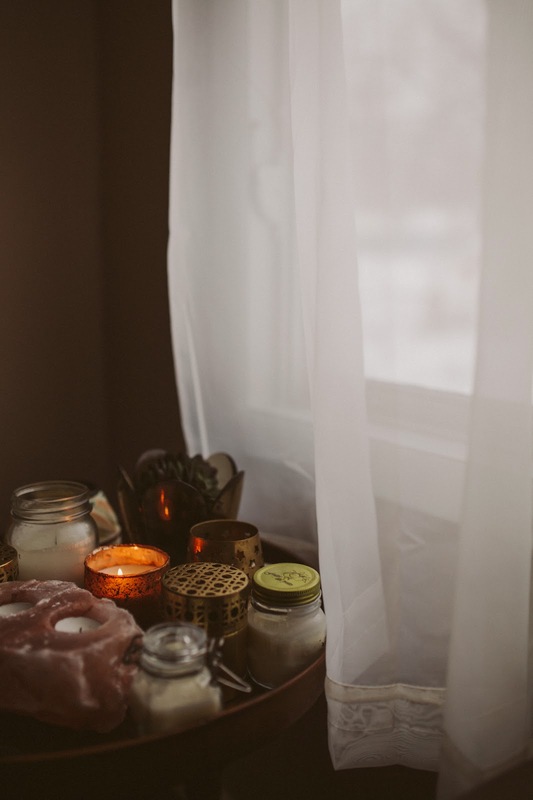 I love soy candles too but it is worth mentioning that their smoke can stain light coloured fabrics (curtains and cushions) and is almost impossible to get out. Don't get too carried away with them next to your new white sofa! I also make my own candles with soy wax cause I really love it. It's so simple to do. So natural and as you said, good for our health. I love put the wax in a jar ! I love making my own candles and playing around with scents, Those jars and holders are just beautiful!! Oh wow, they look amazing. Definitely have to try and make my own soy candles now, and you get to customise the scents, time to create the PERFECT candle! I love soy candles! Also, these pictures are absolutely gorgeous! I can't wait to try and make my own. Wow, I've never heard of soy candles! I've always wanted to try candle making, and when I do, I'll try soy ones instead of the normal wax ones. I feel like they'll have a better scent, too. Is there a noticeable difference? Viva la soy candles! Happy Nesting! Great post! You make this look so easy and I'm going to try to tackle this myself. We live a pretty organic life and I just got into essential oils myself. I never thought about my candles before until a friend recently enlightened me. It makes so much sense! So now I'm slowly swapping in soy candles as I buy new ones. I like the idea of making candles with my old holders! That will be a fun project. I made my two BFF's soy candles for Christmas with the same essential oils! I uses thrifted tea cups, it turned out great! Definitely need to try and make some of these! 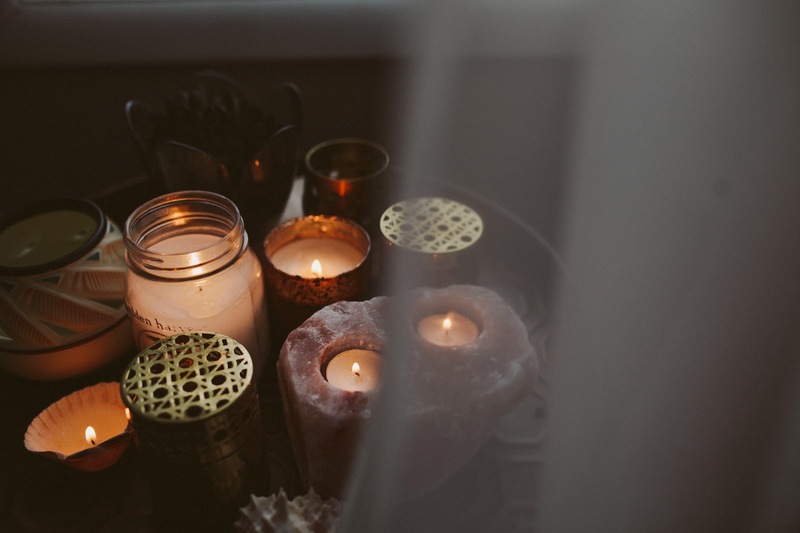 I'm obsessed with candles but they tend to be so expensive so this could open up a lot more options, and it's so nice that they burn slow and don't release toxins! I love this!! I go through candles like nobody's business and am going to try this!! What a great idea! I've just started burning some candles, I wasn't a big fan before. As I'm very allergic to almost anything I think I'll switch over to soy candles, don't know if I'll be able to make them myself, I have very little patience and I'm not good with DIY projects... Thanks for sharing this awesome post. All those vortices are beautiful! I've recently started switching all my candles to soy as well. I didn't even think to make my own. I love your candles! I should do mine too! I love candles so much! They can change the mood of a room in an instant. And they are so beautiful to look at. Soy candles? Never thought of that myself! You did a good job on these though, makes me curious and want to try to make my own. I purchased soy wax and candle wicks at my local craft store. I also purchased old glass jars from the thrift store and some old candle votives I already had at home. I first melted the wax on low on the stove top, and added in lavender and vanilla essential oil once it melted. I purchased soy wax and candle wicks at my local craft store. I also purchased old glass jars from the thrift store and some old candle votives I already had at home.